Leon's about 5 1/8th inches tall, making him just a little taller than Claire. As with most of the human figures in the line, he's sculpted in a bit more of a cartoonish style, whereas the creatures seem to be a bit more realistic and grotesque. That describes the Licker who is about 2 inches tall and 5 inches long. If you're interested, I've put my Licker with some of my 6-7 inch scale Resident Evil figures from Palisades and NECA and thought he looked just fine. Leon's going to need to hang out with smaller figures, however, although I'd be interested in seeing some pictures of him next to some of McFarlane's The Walking Dead figures. Leon is articulated much like Chris: hinged ankles, hinged knees, swivel hips, a swivel waist, ball jointed shoulders, hinged elbows, and a swivel head. Unfortunately, also like Chris, he doesn't want to stand right. He's sculpted in a weird pose and it's difficult to get him standing in any way that I would consider normal. His ball jointed arms are also wont to fall off. They snap right back on, but be careful. His action feature of turning and raising his right arm works better than Jill and Chris's, so that's a plus at least. If you don't want to pose him and just want to play with him, he's not terrible. The Licker is largely pre-posed to crouch in one position, but he does feature swivel hips and swivel shoulders. His tongue can be twisted, and when a button it pushed it spins around. It works OK, but isn't terribly exciting. I've already mentioned his difficulty standing, but I'll elaborate further that Leon's sculpted in a weird, hunched position. I'm not really sure what Toy Biz was going for here. His outfit's good, and nicely replicates the look of the character in-game with all of the cool details like the body armor on the front, shoulder pads, and elbow pads over the long sleeved t-shirt. None of the other cops in the game dressed like this, did they? It's a cool outfit, though. The head sculpt is pretty good from the front. It gives Leon a softer look, but he's definitely recognizable. Look at him from the side, however, and the shape of his head and ears make him look a tad more feminine. You know, like if a girl decided to cosplay as Leon. The Licker is outstanding all around, however, and doesn't look like a girl in a costume. All of the creature's muscles and tendons are on full display, as are it's spine, brain, and massive claws. This really is a fearsome creature that easily was on par with what some of the best companies were sculpting at the time of it's release (late 1998, early 1999). There's not much more to say except that this guy will make you soil yourself. Yup, that's about it. Leon's paint job is pretty good. The details on his uniform, particularly his torso and armor, are clean and well done. The "R.P.D." across his chest and back, and the badges on his shoulders, are all very neatly applied. The little silver rivets on his armor are a nice touch, although they do vary quite a bit in size. The head is painted excellently. There's a wash on his boots to add some color, but it doesn't look that great. There's what appears to be two silver streaks on the cuffs of his pants, and at first I thought these were some paint slop marks, but I own two copies of this figure and they have the same marks, so I'm guessing it was intended to be a zipper. Those are usually found on the bottom of tactical pants like a cop might wear. The Licker's got a more organic paint job that features mixing colors, washes, and other techniques to give the figure a creepy, bloody look. Little details like the claws poking through rips in the flesh, veins on the shoulder growths, and the darker wash over the brain go a long way to making this guy stand out as a worthy monstrosity for any horror aficionado. I really love the weapons that most Resident Evil figures came with, and Leon is no exception to the rule. They may be a bit oversized, but the figure can hold them well, and they're well detailed. Leon comes with two tools of zombie killing destruction: his modified H&K VP70 pistol and the Remington M1 100-P shotgun. The pistol features the stock that Leon is able to add to the gun in the game which gives the pistol the ability to fire in three shot bursts. It's a well sculpted accessory that looks somewhat like the in-game model for the gun, but features a good deal of detail. It's definitely a signature weapon for Leon. The shotgun is a pretty standard short shotgun without a stock. It's a little bit warped, but overall nicely detailed with little bolts, the slot for shells to eject, and some brown paint apps. Both weapons are nice and sensible and work well. He can actually hold both of them, too. Leon is an OK figure. Decent sculpt and paint, and nice accessories, but he just can't stand properly, and his arms tend to fall off. Licker is an excellent toy; while not too articulated, it does have an excellent sculpt and paint work. Ultimately, I'd give this set a Good and a 1/2. There are definitely better versions of these characters available now, but at the time this was an impressive set. Depending on how much you pay, the set might be worth it for the Licker and Leon's weapons alone. If you're a fan of either of these two characters or are working to complete this line, I don't think you'll be overly disappointed as long as you factor in the age of the figures. Leon!!!  Hungry for more Resident Evil reviews here at The Epic Review? I've also reviewed: Chris Redfield and Cerberus, William G-3/ William G-4, William and Sherry Birkin, Claire Redfield and Zombie Cop, Jill Valentine & Web Spinner, and Mr.X/ Super Tyrant from Toy Biz's Resident Evil figures. Big Bad Toy Store doesn't have this figure in stock, but they do have some other cool Leon Kennedy figures and statues available for sale and/or preorder. I have to admit that I'm incredibly bias toward the ToyBiz Resident Evil figure line. It's a fun and very theatrical little set that really brings the series' feel home. With that said, I also collect the hell out of them and examine them from time to time. Over that time I've noticed more inconsistencies with Leon's paint job than I have with any other. First of all, the standard paint job has a lot wrong with it. Leon's armor with RPD on it, along with his shoulder pads and upper arm pads with the RPD insignia are all the wrong color. They're not supposed to be the same shade as the rest of his outfit, they're supposed to be a darker shade of blue/black, as seen on the Palisades figure. Also, the Insignia has mostly blue on it, where it's supposed to be mostly gold; also seen on the Palisades. Another thing about the Leon figures, and the figure series as a whole, is that the colors change occasionally on the figures. For instance, the Toybiz Leon in this review has blue elbow pads, where the 3 of mine at home have black. In fact, most have black, which is a remnant of the color from the beta version of the toy which had it match the correct shade of armor on his torso -- as seen on the back of the box, starring a better paint job version of the Licker aswell (teeth, flesh, and brains all have more depth to them). The only other issue with the sculpt is the hair. It's like Matt Damon's hair from Good Will Hunting, with a weird separation with the top later and the underlayer on the back of his head. It's supposed to be all one layer, like on the NECA version. Anyways, I thought I'd add my two cents. I really enjoy these reviews and wish you the best of luck in site. Yeah, the Toy Biz line definitely takes some liberties with the characters, although considering this was released by Toy Biz in the late 90's we're fortunate Leon didn't have space armor or a water shooting insect companion that he could ride on. It really is a fun line that I wish had continued for one more game! I have multiples of a few of these figures, so I need to check for some variants amongst mine. Interesting find!